Dark Horse Comics kicks off the year with an excellent new comic called Lady Killer by Joëlle Jones, Jamie S. Rich and Laura Allred. I’ve actually been a fan of Joëlle’s style for quite some time now, and you may have seen her selling some of her prints at a con near you. Anyway, her talent is thoroughly showcased in this book. The art is fantastic, you guys. And Laura Allred’s colors are to die for (pun intended). 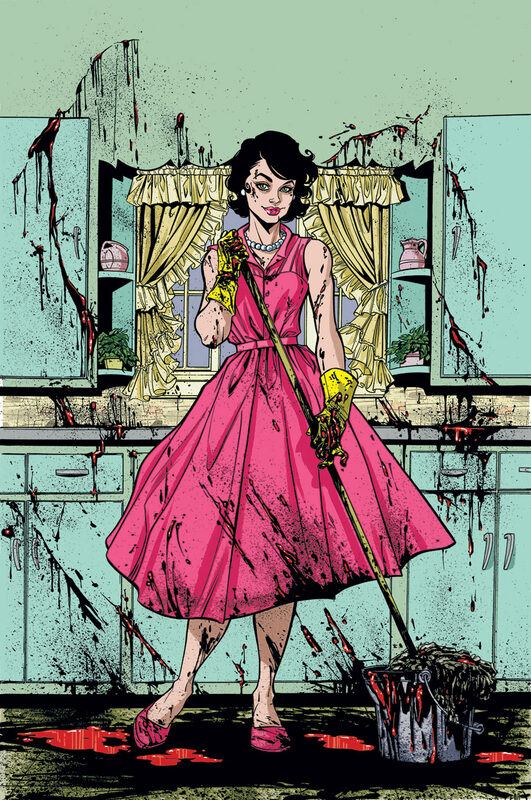 Read my full review of Lady Killer #1 HERE.